This mom. Her husband. Their birth team. Two doulas. The nurses. Everyone supported this amazing warrior mama so much. She spent her pregnancy energy focusing on hypnobirthing, concentrating, focusing, calming, relaxing, embracing every wave that was to come. 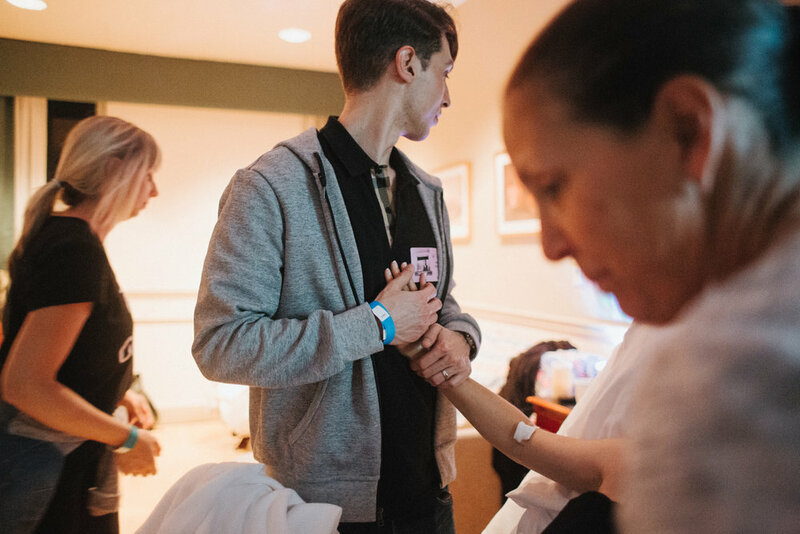 Her team knew how important an unmedicated as natural as possible birth was to her and her husband (and best friend) and they did everything to support and encourage her through every contraction closer to meeting her son. 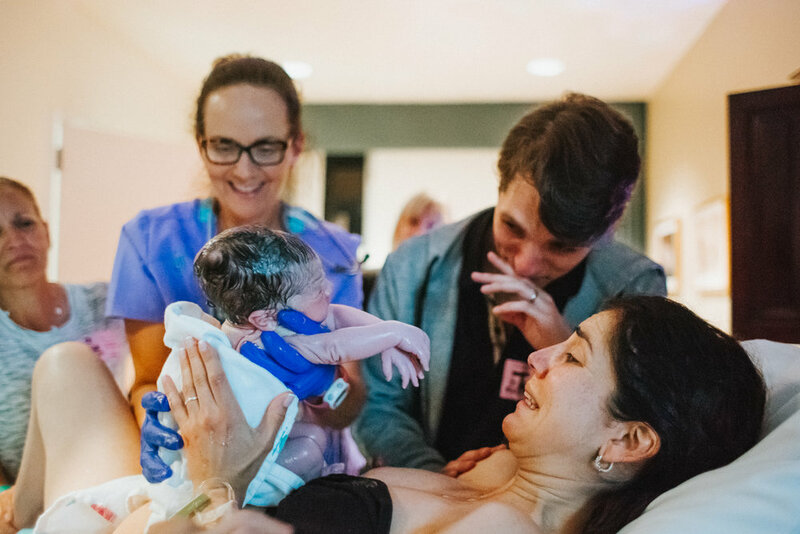 Her OB walked into the delivery room just as mama emerged from the hot shower and baby boy was crowning. 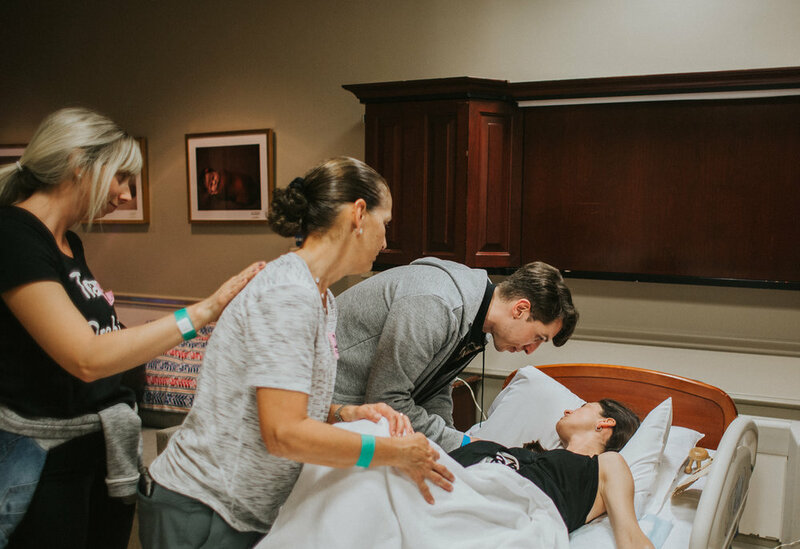 She made her way to the delivery bed, and with a few pushes, sweet boy was born onto mama’s chest. You were such an inspiring warrior mama. You are such a strong woman. Your doulas and I were so incredibly proud of you! And your husband was your steadfast rock. If he was nervous at all, we were never able to tell. Your constant and relentless encouragement and being at her side was awe inspiring. And her team... Her OB Dr. Arcelin of Women’s Health Partners, her amazing doulas Elle and Samara from Orchids Nest. She had the dream team. But then again, everyone at Boca Raton Regional Hospital comprises to make a dream team! Austin only left my side once during labor, because he had to move the car, and even then, he moved as fast as he could, because he knew I needed him. True love is letting your wife rest her head on yours, even though you are getting soaked, because you know that is the only thing that will bring her comfort. The best healthcare provider I have ever met. I thank God for my midwife Kathy. She truly cares about her patients, and is passionate about her job. On Monday, October 17th, 2016 at 8:16am, after 27 hours of drug free labor, my daughter was born via Cesearan. Hearing her cry for the first time, was pure relief. The battle had been won. All 9lb 1oz of her was here. They placed her on my chest in the OR, and her little hand grabbed my face. The first thing I noticed was that she had the same nose as me. I was too tired to express my emotions, and if I am being honest it wasn’t the best moment of my life. I didn’t feel the magical love that everyone talked about. I was way too tired, and traumatized to really feel much at all. I wanted to instantly bond with her, and feel that great love, but it wasn’t there. The view from my hospital room. Photo by Paulina Splechta. While we were at the hospital I spiked a fever, so they put me on a ton of antibiotics to prevent any infection that might have been forming. 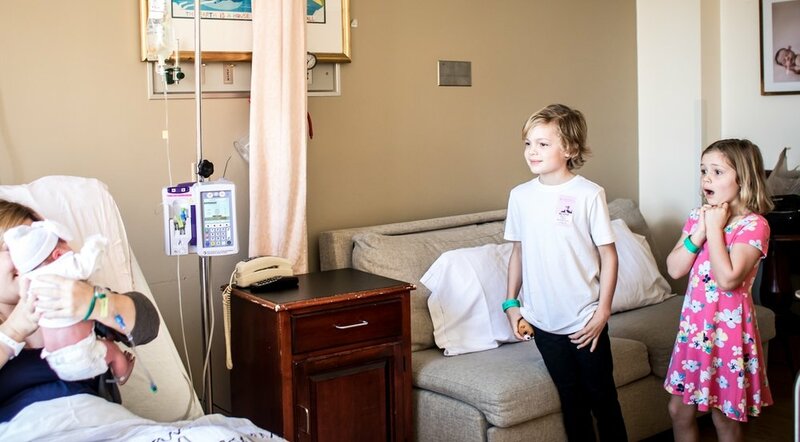 We stayed at the hospital for four days. If you know me, you know I am not a fan of hospitals. The constant people in, and out, the attention, and overall atmosphere doesn’t mesh well with my personality. I thank God that our hospital room had a view of palm trees, and the ocean, without that it would have been much harder for me. Leaving the hospital. I really hope we buckled her in better than this before we left, but we were so out of it, I’m not sure that we did. Oops. Thursday late afternoon we were finally released from the hospital. 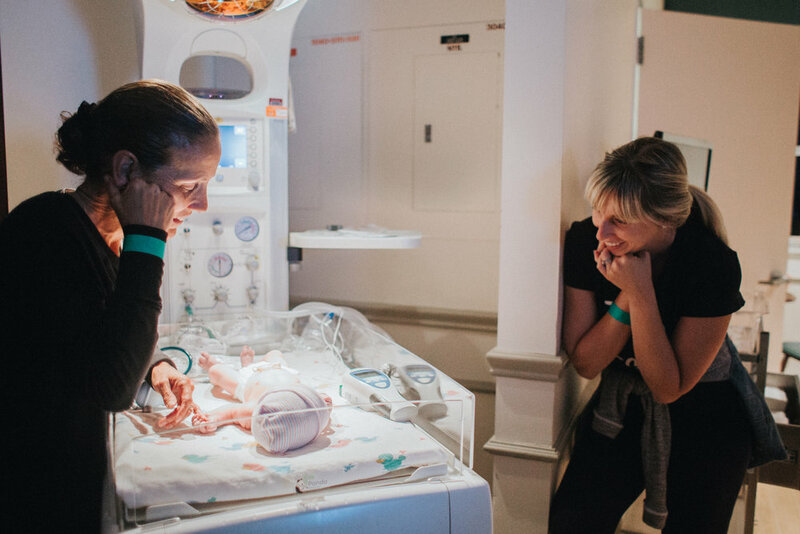 Bringing a baby home for the first time is scary, but my husband and I were both anxious to leave. We were both exhausted, and ready to be in the comfort of our own home. I didn’t think of how hard life would be once we got there. Somehow, bringing Thea home confused her days and nights. Instead of just eating and going back to sleep like she had at the hospital, she was awake in the middle of the night. I remember sitting in our bedroom at 3am with an awake newborn, who didn’t want to go back to sleep, or be put down. It was not fun. Add to this the fact that when I laid down to try and sleep I was having nightmares about being in labor. The lack of sleep felt like torture. We were so overwhelmed. Our first day home with Thea. The next morning I called my mom in desperation. We needed help. We couldn’t do this alone, but I felt so guilty asking for help. I was Thea’s mom, I should be able to handle this right?? I felt like a burden, and a failure asking for help. I know now that I shouldn’t have felt this way. My mom got to spend time with her brand new grand baby. I’m sure she was ecstatic, but I didn’t see that in the moment. The months to come were some of the hardest of my life. With the lack of sleep, and my body not healing properly, depression set in (not surprising for me). It all felt too hard, like so hard I couldn’t do it. I remember asking God why he made me Thea’s mother because obviously I wasn’t cut out for it. Everyone around me expected me to be over the moon, and so in love with my new baby. This expectation just added to the guilt. I was struggling to bond, and feel the love that everyone talked about. I don’t want to leave you with the impression I never enjoyed her, because I did, I just didn’t enjoy her like I should have. I mean look at this sweetness. She was/is so precious. At six weeks old, Thea started sleeping a 4-5 hour chunk in the beginning of the night. It felt amazing, and it gave me a glimmer of hope. I thought maybe I could do this after all. Sadly it only lasted a few weeks, with her teething early, sleep went out the window once again. Sleep continued to get worse, she eventually got down to waking up every single hour ( and no I am not exaggerating). This was my breaking point. I couldn’t do it anymore. I finally broke down sobbing, and my aunt took her for the night. It’s hard for anyone else to watch a breastfed baby who won’t take a bottle, but they made it through, and I slept for five hours straight. This was the longest stretch of unbroken sleep I had slept in the three and a half months of Thea’s life. It was also the longest stretch of sleep my body would allow. My body didn’t know how to sleep through the night anymore. I posted this photo to Instagram, talking about sleep issues. Looking back now, I think it should have been titled “This is what Postpartum depression looks like.” But depression is tricky, it doesn’t always look like this. There are smiles, and happy moments still, but a dark cloud lingers overhead. Around four months old we let her cry to go to sleep, it was that, or me locked up in a mental ward. It was one of those things I never wanted to do but ended up doing to save my sanity. (For those of you who think I was a terrible person for letting my baby cry herself to sleep. I don’t really care what you think, nor do I want to hear your opinion.) It helped. She didn’t magically sleep through the night, but enough to keep me from losing it, we went from waking hourly to 3ish times a night. When Thea was five months old, I sought help for my mental health, and something was sparked in me. God spoke into my life, and I finally had hope of getting better. Hope is powerful. I realized that I wasn’t stuck like this forever. That God was/and still is bigger than my struggles. My bond with Thea grew, and I developed the great love that everyone talked about so much. I started to enjoy spending my days with Thea, and being her mom. I am so grateful for this love, and the joy that she brings into the lives of those around her. I love watching her grow, and learn. I soak up her smiles, and laughter. I love listening to her ‘talk.’ She is my little people watcher, and observer. She is strong willed, and will let you know exactly what she wants, or doesn’t want. She loves figuring out how things work, and imitating mommy, and daddy. She is still a boobie baby, and will let me know she wants to nurse, by repeatedly pecking her face into my chest like a little bird. She loves animals, and insists on making friends with them where ever we go. And I am thankful to say that she nows sleeps through the night completely! To the mamas struggling, hang in there, I promise it gets better. Find your village ( I am still in the process of growing mine), and accept help. I promise there are people in your life that want to help, let them. I had help, but should have accepted more. I felt guilty accepting more help, because she was my baby, and I should have been able to do it all by myself right?? To everyone with a new mom (or dad) in your life, ask how they are doing, care about them too, not just the baby. Don’t assume she is on a magical new baby high, too many women struggle with Postpartum Depression to assume this. Even if they aren’t facing PPD, parenthood is hard, not sleeping is hard, trying to do it all on your own is hard. And don’t forget dad, this whole thing is hard for him too, and takes a lot of adjusting, and sacrifice. To all of you who helped us in this past year, thank you! When they say it takes a village to raise a child, they mean it. I have learned the importance of community. We weren’t created to do this life alone, even if you are good at being alone like I am. I write all of this, not for sympathy or your pity, but so the mom who is in the midst of the struggle knows she isn’t alone. If you are struggling, and need an ear to listen, or want to share your story, feel free to email me shelbytruly@gmail.com. I will do my best to reply to everyone in a timely manner. A week ago I announced that my past birth clients will have the opportunity to win three giftc ards in a past birth client raffle, and today is the day! I love how mama looks at her first born (daughter) in such awe and admiration as if to say with her eyes — we did it, together! She was laboring on all fours, at the very end stages of her labor, as her body was naturally progressing to 10cm on its own, without any medications, and I was in absolutely awe of her natural born power. South Florida is a focal point in the U.S. with the highest c-section rates. And in today’s day, it can be terrifying to be an African American woman giving birth, because the mortality rates and mistreatment of women of color during pregnancy and birth are the highest out of any race of women in the world. I am so wowed by this amazing first time mom! And so humbled that she would trust me 110% with capturing this moment for her! Best of all, mama recognizes that I am a birth photographer on a mission and completely stands behind me with sharing her birth photos with you all and this powerful message. That is the position this sweet baby girl is being born in, about to be caught by her midwife & her mom. When I was about to become a mom 6 years ago, I had never seen a beautiful, not intimidating photograph like this one. This doesn't show fear, grossness, chaos, danger. Instead, this image shows grace, peace, comfort, safety. We’ve been taught that birth is a hugely medical process and the scariest moment of a woman's life. But this moment proves that birth can be peaceful, calm, supported and completely safe, where ever you choose to birth if you make smart, educated choices. The midwife catching this baby is Licensed Midwife, Gelena Hinkley of Peaceful Pregnancy Pathways and Natural Birthworks Birth Center in Margate, FL. She is also our Midwife Highlight of the week. I have received permission from my birth photography client, a woman of color, to speak out about the safety, tidiness and comfort of her birth. Having your baby the way she did, unmedicated and at home, does not have to be a lower class irresponsible, cheap and messy route to choose as sometimes is the common myth discussed among women of color. 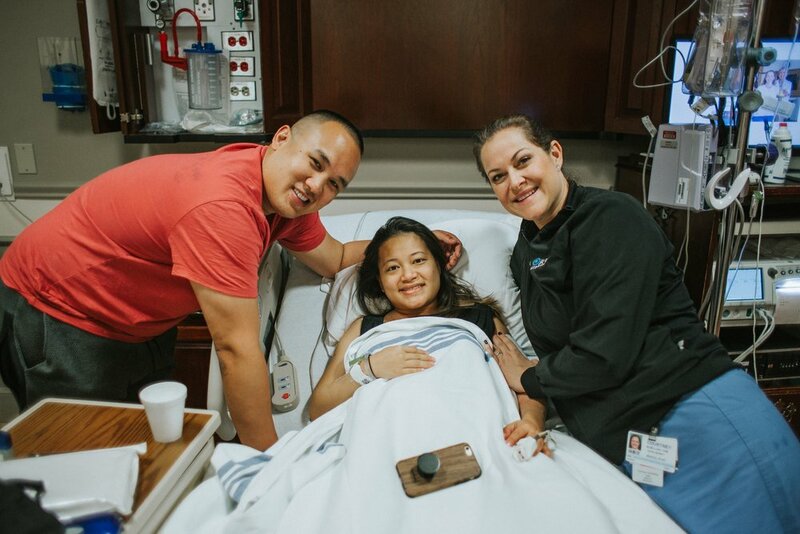 Having your baby unmedicated and at home can be empowering, clean, safe, and a wonderful experience for you and your entire family - as this mom felt. Did you know that the statistics of mortality/complications during labor, birth and post partum are the worst numbers for black women in America? Key to changing these statistics begins with knowledge during pregnancy. Interview multiple providers with low c/section rates, low mortality rates and high positive feedback, hire experienced doula & make smart choices about the location you choose to birth in. I am grateful to my birth client for being brave in giving me permission to share photos from her birth. Women of color have suffered far too long, it is time to bring peaceful, supported, empowered birth to all women. I remember so vividly the feeling after you hope you conceived and between the time you were able to test positive on a home pregnancy test. Those days were the longest. Except maybe the last month of pregnancy. The start and the end of every conception to birth journey is so unique in that you need to let go, and let time just happen. But it really feels like you’re briefly sucked into a time vortex where the clocks stop moving and you’re just tapping your finger and waiting. Remember, none of the below is medical advice. I am just a mama, and I happen to love pregnancy and birth and love to write about it. If you are genuinely concerned about your pregnancy, issues conceiving, or with upcoming labor/birth, make sure you ask your medical provider your questions. Another method for getting pregnant that I used was called the candlestick method. It’s when you kick your feet up in the air, and place the palms of your hands against your back. Apparently this is a known fertility exercise during ovulation and conception. I again don’t know if its effective, but its what I tried with both babies. It’s known well as a yoga move too. Both times that I got pregnant with my two daughters, the very first early pregnancy symptom that I experienced with each pregnancy before I could even test positive with a home pregnancy test was a fever! Yes a fever! With both pregnancies! It lasted a very short amount of time, I can’t remember exactly anymore because my very first pregnancy was 7 years ago, and my second pregnancy was 4 years ago, but I believe the fever was less than 24 hours in duration and it was a low-grade fever both times, around 100.6. I can only guess the reasoning behind this was my body lowering its immune defenses as it prepared for implantation. Once we tried for each baby, I was so impatient to know if I had gotten pregnant successfully. Instantly I started googling what early symptoms of pregnancy could feel like before a home pregnancy test would actually give me real results. With both of my times getting pregnant, one of the earliest symptoms of pregnancy that I was personally able to feel was menstrual type cramping. Later on I found out that this could be a sign of a fertilized egg traveling down the fallopian tubes to your uterus. With both pregnancies very early on I experienced slight bleeding between weeks 6-8 which I thought could be implantation bleeding. Right away with both pregnancies in the first trimester, I immediately felt tremendous fatigue. When I got pregnant with my first baby, I’d come home from work, and fall asleep right away for a late afternoon/early morning nap. Once I got pregnant with my second baby (and something nobody tells you that complicates things with pregnancy related fatigue!) I couldn’t nap anymore when I felt exhausted! Because it seemed that the moment I got pregnant with my second baby, my first child who had just turned 2 years old, completely stopped napping. HELLO Pregnancy! The Metallic Taste is the one thing most complained about by myself during both pregnancies, family members of mine, friends of mine and even my birth photography clients. It just tastes like you have pennies in your mouth, and its super unpleasant. It can make food taste awful and unappealing causing you to eat less, causing you an empty belly and more nausea, and it can just be an overall frustrating feeling to not be able to wash it out of your mouth no matter what you do! My favorite trimester has always been the 2nd trimester. The second trimester goes from week 13 to 26 of pregnancy. My belly always started to look more round, so I was visibly pregnant, my skin was tight around my belly, which made me feel more confident in myself, pregnancy caused fatigue went away, and although I was still nauseous during this time with my first pregnancy, the nausea definitely got better with my second pregnancy during this trimester and by the middle of the second trimester my pregnancy related nausea was completely gone. Nausea was something I unfortunately experienced A LOT of during both pregnancies. During my very first pregnancy with my first daughter, my nausea started at about 6-7 weeks and lasted consistently every day until the 37th week when it finally dissipated. No matter what I tried to eat or drink, I couldn’t keep anything down. In the middle of the day, either just before lunch or immediately after lunch time, I could keep down anything chocolate, but that was literally it. So it was no surprise to me that my now almost 6 year old daughter is a huge chocolate addict! It wasn’t until my first baby was about a year and a half old that I found out that I experienced during my first pregnancy a similar condition to Kate Middleton called Hyperemesis Gravidarum. It was actually in an article about her pregnancy which is how I found out. Hyperemesis Gravidarum is a pregnancy complication that is characterized by severe nausea, vomiting, weight loss, and possibly dehydration. Signs and symptoms may also include vomiting many times a day and feeling faint. Hyperemesis gravidarum is considered more severe than morning sickness. (source). I also later found out that many women who experience Hyperemesis Gravidarum (also called HG) during their pregnancy end up being hospitalized for dehydration and malnutrition since they cannot keep anything down to hydrate properly or nourish themselves. The OBGYN I was with during my first pregnancy never mentioned this medical condition. He also never gave me any solutions to treating it. I realize now looking back, I was very underweight, although I gained a healthy 15lbs, I really should have gained more. I looked very thin until 37 weeks of my pregnancy. My OBGYN recommended oral 8mg zofran tablets but they only barely took the edge of for 30 minutes per day. So every day I had to decide which 30 minutes of the day was worst and take it then. It was misery. It was like being sea sick for 30 weeks of my pregnancy! Or a really bad hangover. So there you have it, those were the bulk of my early pregnancy symptoms and some of the most prominent during my pregnancies. There were definitely many other symptoms I experienced as time went on. More food cravings, headaches, round ligament pain, back pain, mood swings, etc, but the above were the ones that hung around for most of my pregnancies! I hope this blog post was helpful or insightful to you on what to possibly expect when you’re pregnant. I am a birth photographer in Boca Raton, FL. I started out 11 years ago originally photographing engagements, weddings, bar mitzvahs, birthday parties. But once I had my first child almost 6 years ago, I felt a calling to only working with new moms. I limited my work to maternity sessions, newborn photography, photographing families and breastfeeding photo shoots. I became very well known in south Florida for my advocacy of breastfeeding. Shortly after my daughter turned 2 years old, I attended my first birth as a photographer. It was for one of my maternity / breastfeeding photography clients. The moment I photographed her birth a little over 4 years ago now, I knew then that I wanted to be a full time on call birth photographer & birth videographer as my career. Today, I have photographed almost 100 births in the last 4 years, ranging from birth center births, to home births with midwives and doulas, inductions in the hospital, unmedicated births in the hospital, surrogate births, twin births both vaginal and c-section, schedule cesarean births, emergency cesareans, and I love what I do. 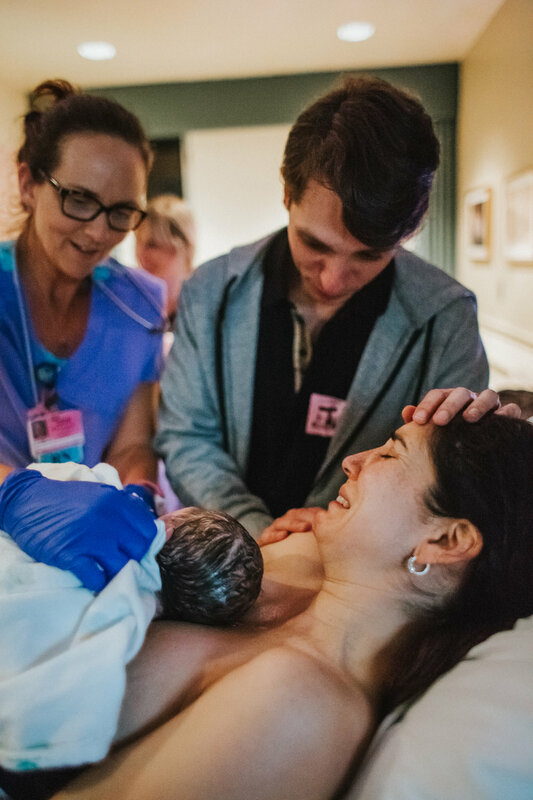 I have birth great professional relationships with the midwives, OBGYNs and labor doulas here in south Florida, many of my colleagues are baby nurses, lactation consultants, pediatric sleep specialists, physical therapists and chiropractors. 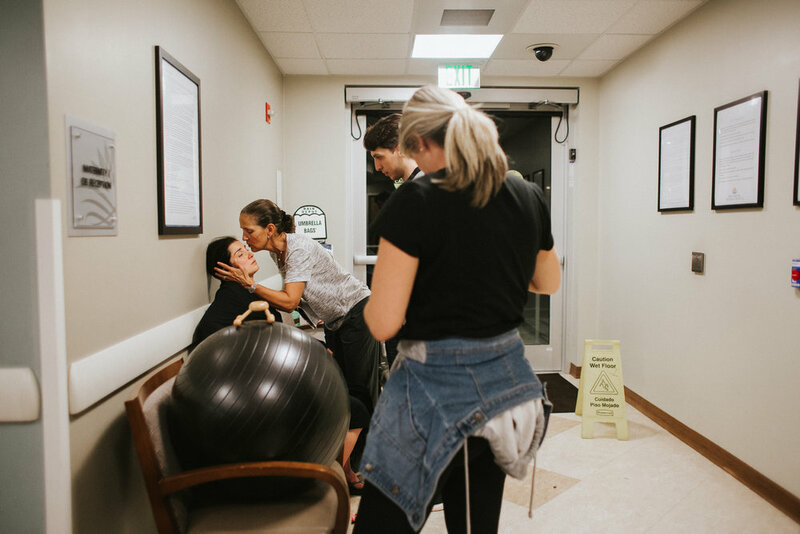 I would love to work with you for your birth story, and typically I book about 5 to 7 months in advance, however, it is not unheard of for me to sometimes take a client who is in the last two months of their pregnancy, so don’t hesitate to reach out!